This time is personal, very personal. Paolo Mancuso was killed in a bar in Little Italy 20 years ago. To this day, his murder has gone unsolved. A cold-case The NYPD has not paid much attention to in all these years. Enter Antonino “Tony The Hammer” Falcone. Paolo’s best friend and co-mafia family member. Tony, in his death-bed, reveals to Joey that the mafia had nothing to do with his dad’s murder. Something Joey always believed it had. Instead, with his last breath, Tony whispers only three words to Joey – Barcelona, Wetherly, Stevens. With just those three words, Joey sets off to Barcelona. Is it justice or revenge, Joey seeks? Will he learn things about his dad’s past, he wished he hadn’t? Is Joey about to go up against one of New York’s five mafia families? Will he solve Paolo Mancuso’s murder? Now retired, former NYPD Homicide Detective, with the Midtown South Precinct, Joey Mancuso, had looked at the murder book many times during the time he was with the NYPD. Lacking clues and any evidence, he was never able to pursue the perpetrators responsible for his father’s death. 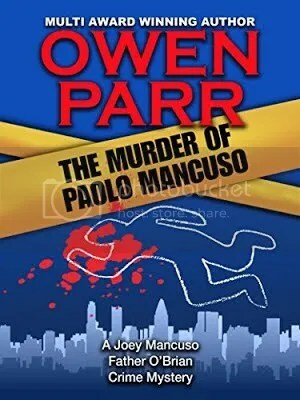 Currently a licensed private detective in New York City and half-owner of an Irish Pub in New York’s Financial District with his half-brother, Father Dominic O’Brian, the pastor at Saint Helen’s Catholic Church in Brooklyn, also a licensed private detective, they set out to solve the murder of Paolo Mancuso. The brothers, Mancuso and O’Brian have been called by the New York press; – “The Last Advocates of the Victims,” for the relentless pursuit of the perpetrators, they exemplified in their last cases, working as consultants for the NYPD or as investigators for criminal law firms. But, this time is personal, very personal. And, Joey’s determination in solving this case, his dad’s unsolved murder, could make him do things outside the bounds of justice. Is it justice or revenge he seeks? 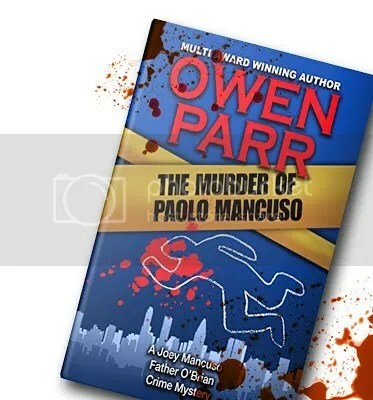 Everyone loves to solve mysteries, and Multi Award Winning Author, Owen Parr is no different. Taking a page from Agatha Christie’s -Poirot series and Conan Doyles’ – Holmes series, Parr infuses his thirty years of Wall Street experience into his crime mysteries and exposes its underbelly. His characters come to life in the vividly described locations of his novels. And, you’ll need to look beyond the obvious, if you want to solve the crimes.